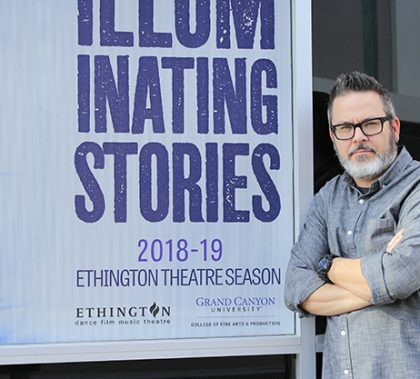 Bill Symington, Assistant Dean of the College of Fine Arts and Production, continues to work vigorously on projects outside the University to help build bridges that lead students to jobs in the entertainment industry. Symington has judged for the Kennedy Center, has designed a show for TheaterWorks! and even has helped establish the “Backstage Pass” program with the AriZoni Board of Directors. 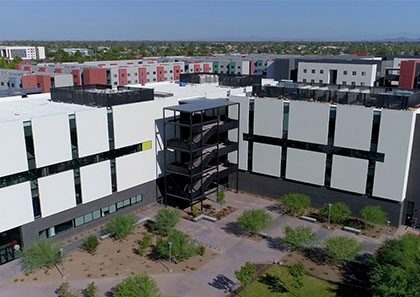 The program connects students to professionals in the business to help inform them about the business and teach them what employers are looking for. 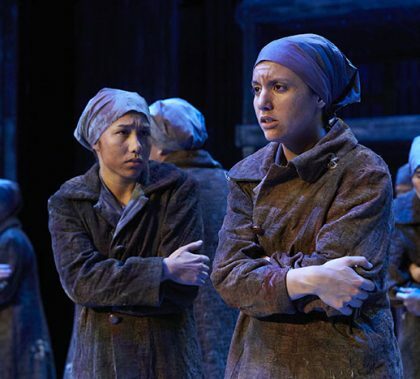 GCU Theatre Department’s moving play, “Who Will Carry the Word?,” brings the somber truths of what happened in Auschwitz to a group of French Resistance fighters to the Ethington Theatre stage. Claude Pensis and a powerful female cast showcase Charlotte Delbo’s haunting story. 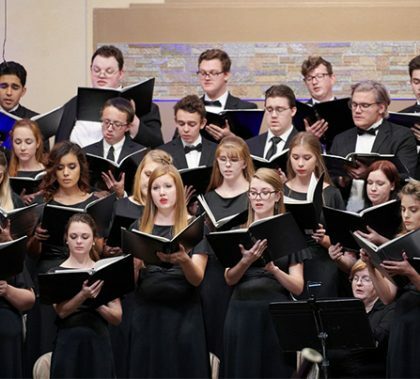 The Music Department will venture into east Phoenix for the first time to present its Masterworks Concert, “Songs of Faith,” to reach new audiences. The concert will be performed Thursday at First United Methodist Church of Phoenix and Feb. 15 at Paradise Valley United Methodist Church. In the Theatre Department’s “Who Will Carry the Word?”, the characters are determined that at least one of them must survive to tell their story. 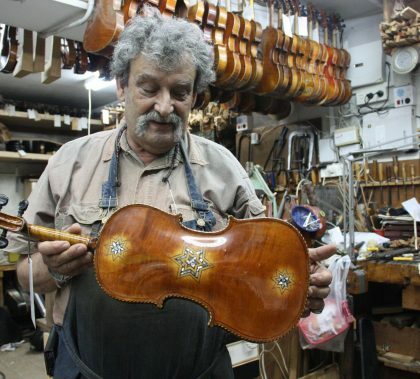 It’s a theme shared by the Violins of Hope, a collection of violins restored by Israeli master violin maker and restorer Amnon Weinstein. The instruments were played by Jewish musicians during the Holocaust. Like the play, the violins also tell the stories of the victims and survivors of the Holocaust. 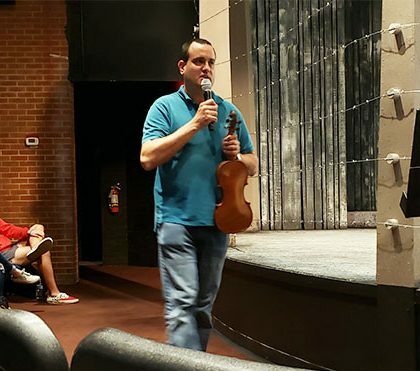 Weinstein, his son Avshalom, and a few of the instruments will be on campus Feb. 15-16 in conjunction with the presentation of the play, just one of the stage productions, art exhibits, concerts and more in the two-month-long Violins of Hope program being brought to Phoenix in February and March by the Jewish Federation of Greater Phoenix. 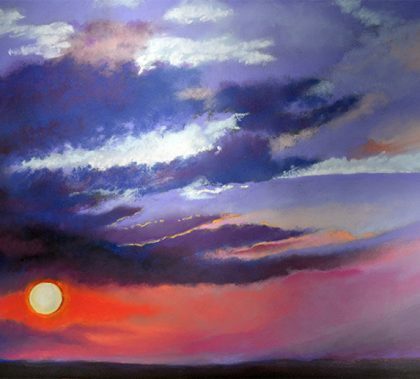 The Curriculum Design and Development Department creates the curriculum students study in their Grand Canyon University coursework but took time out on Friday to showcase some of their creativity in the department’s first art show. But the show was anything but paint by numbers. According to curriculum developer Ruth Douthitt, it also helped build a sense of community among the employees. 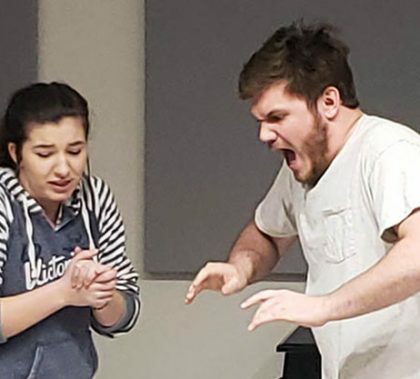 “You’re a collector of Coca-Cola products!” “You’re a flight attendant who accidentally boarded a cruise!” GCU students threw suggestions at their teammates, who had seconds to create a character, right then and there, as part of an improv workshop Saturday. The workshop was helmed by improvisationists with The Second City Touring Co., who were in Phoenix performing in “It’s Not You, It’s Me” at Phoenix Theatre. It was the first time talent from The Second City, which launched the careers of Steve Carell, Mike Myers, Jordan Peele and Tina Fey, to name a few, led a workshop on campus. “These opportunities are few and far between,” senior history and secondary education student Garrett LaPorte said. 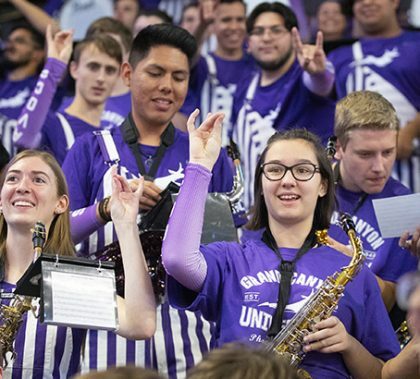 On the heels of performing Handel’s “Messiah” and various faculty and student recitals, the busy GCU Music Department is at it again, this time readying itself for its annual Christmas concert. 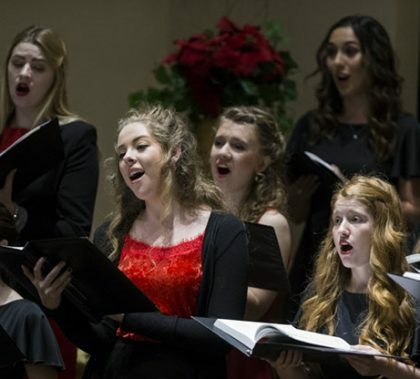 The Canyon Chorale and Critical Mass will perform everything from Arnesen’s “Magnificat,” which centers around the text of Luke 2 and the birth of Jesus, to a medley of holiday tunes from popular a cappella group Pentatonix. The concert begins at 7 Thursday night at First Southern Baptist Church of Phoenix.